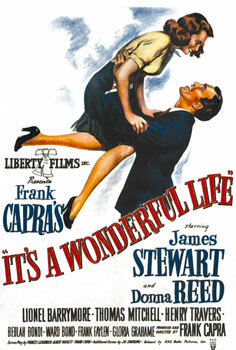 Once again this year we've got a couple of Christmas specials for you - a 1945 radio broadcast of Bing Crosby singing selections from The Bells Of St. Mary's, and a 1947 Lux Radio Theater broadcast of It's A Wonderful Life, with original cast members James Stewart and Donna Reed. Best Christmas wishes to you and your family! 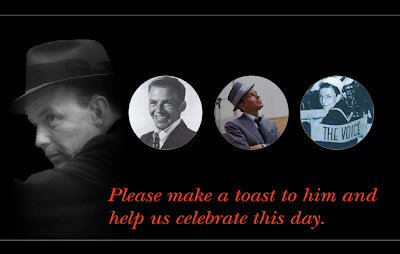 A bunch of hard-core Sinatra fans crowded into the chat room at the Sinatra Family Website at a quarter to three this morning to share birthday greetings and a toast in honor of Francis Albert Sinatra, who was born on this date in 1915. It was a beautiful moment, and tears were shed from London, to NYC, to Sao Paulo, to California when Nancy reminded us that for members of the site he is "everyone's Poppa." We are grateful to Nancy Sinatra and to Robert (who takes care of the site) for providing us with such a wonderful venue for sharing our love of Frank Sinatra. 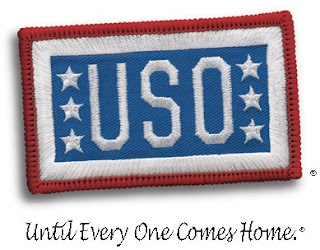 If you haven't yet visited, what better time to do so than on this day of celebration? 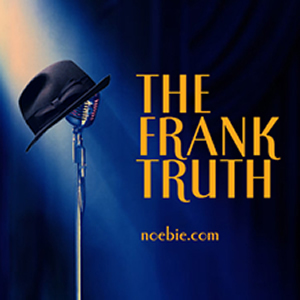 Turner Classic Movies has got a nice lineup of Sinatra Movies on Friday, December 12th in honor of Frank Sinatra's Birthday beginning at 6:45 AM Eastern. Also, if you're up in the wee small hours, why not join us in a toast to Frank Sinatra at "a quarter to three" (Eastern Time) Friday morning? You'll need to register at SinatraFamily.com ahead of time. 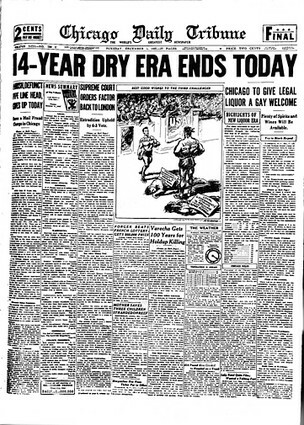 Today marks the 75th anniversary of repeal. Let's all strike a blow for liberty!